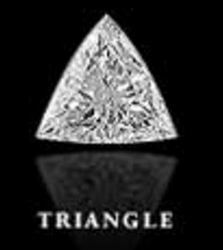 Triangle Cut Diamond offered by our company are the diamonds with the shape of a triangle from top view. This type of cut is considered the most unusual cut available in the diamonds displaying a very sharp brilliance of the artisan. Triangle Cut Diamond if cut in proper depth allows magnificent scintillation. 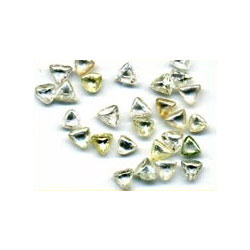 We offer Triangle Step Cut diamonds of different sizes and shapes, in the prevailing market. These are offered to the clients, as per their detailed specifications and needs. The diamonds available with us display very sharp fire, as they are cut to the correct depth and hence, allow good scintillation.